There is no question that cruising is a travel experience like no other, with its own advantages and quirks. There is a lot to know that is specific to this mode of travel, not the least of which is the lingo your crew and fellow cruisers use. If you are feeling “wet behind the ears” when it comes to traveling on the water (ahem), read on for our list of must-know terms. Sea day – On a sea day, your ship will be at sea for the entire day. Find out in advance when you’ll have a sea day so that you can plan your time on board. Do you want to push yourself to do more on shore and plan time to recover the next day? Book a massage in advance? Plan a double date in the ship’s lounge with new shipboard friends? These are all great ideas for a sea day. Check your ship’s itinerary before you leave or the refer to the daily schedule aboard your ship for sea days. Tender – Sometimes cruise ships must tender passengers to shore—that is, anchor in the harbor and shuttle groups of passengers to shore in smaller boats. This can be time consuming, so learn what days, if any, your ship will tender passengers, especially if you have time-sensitive plans on shore. Oftentimes, passengers booked on ship-sponsored excursions get first dibs on getting to shore. Smaller ships may have an advantage here; wait times are shorter because there are fewer guests to tender, and smaller ships can actually dock at ports that require larger cruise ships to tender. Some cruisers like to book spa time or sleep in on days when the ship tenders and get to shore on a more relaxed schedule. 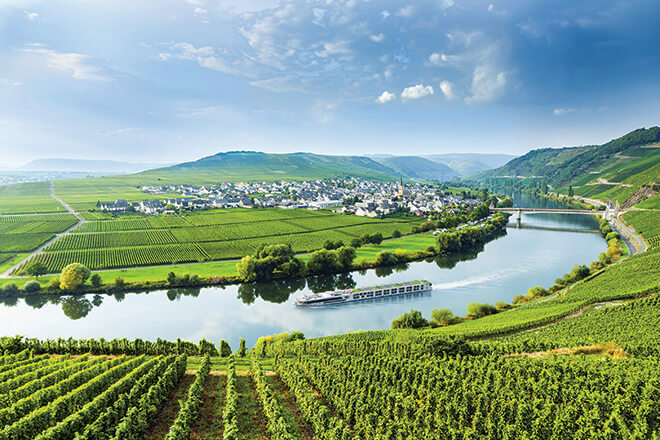 Onboard/shipboard credit – Often issued as a promotion, onboard credit (OBC) helps pay for the little extras—drinks, spa treatments, excursions, souvenirs, specialty dining—that can top off an excellent cruise experience. It’s always a good idea to check if anything is excluded from OBCs (gratuities, for example) and whether unused OBCs are refundable. Passenger-crew ratio – The crew make the ship hum, but levels of service vary. A higher passenger-crew ratio means more personal attention. Do you need a butler to attend to your every wish or just a clean cabin every day? 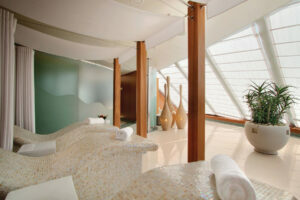 Cruise lines may promote personalized service as part of fulfilling your perfect vacation. Know what to expect. Double occupancy – Usually cruise fares assume double occupancy, that is, two people sharing a queen or European king bed or occupying two twin beds in one stateroom. Single cruisers pay a pricey single supplement to book a double-occupancy cabin. Alternatively, singletons can opt to book the somewhat rare single cabins, which are also pricey unless you can find a deal. Single cruisers may want to plan quite a bit in advance to look for bargains—or find a roommate! 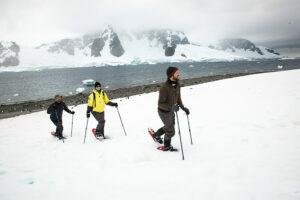 Expedition cruise – Geared toward the adventure-minded traveler, expedition cruise ships visit more remote locations, where options such as kayaking, snowshoeing, snorkeling, whale watching, and polar plunges are available to you. This type of cruise features scientists and other knowledgeable experts who can lead excursions to teach travelers about the natural wonders that make a place special. Activity levels and excursion options for expedition cruises vary widely—don’t rule out venturing to remote locales if that’s your dream! Cruise card – This is your key to everything on the ship! You will use it to check on and off the ship, sign for onboard purchases, and open your cabin door. It goes without saying, do not lose it—perhaps attach your cruise card to a fun lanyard and accessorize! Pier runner – Pay close attention to what time you need to be back on the ship after a day ashore, cruise newbies. A pier runner is a passenger who returns to the ship after the deadline and has to hustle to catch the ship (and suffer the embarrassment from fellow travelers watching from on deck). If you miss the ship, you are responsible for getting yourself to the next port of call. Muster drill/muster station – First-time cruisers, this is a drill. Every ship must perform a safety drill—or muster drill—within 24 hours of sailing. You’ll find out where to report for roll call (a.k.a., your muster station) on the safety sign in your cabin. Open seating/traditional dining/specialty dining – If you are a novice cruiser, the jargon regarding dining options may be new to you. Open seating refers to a dining venue that does not require reservations, set dining times, or assigned tables. 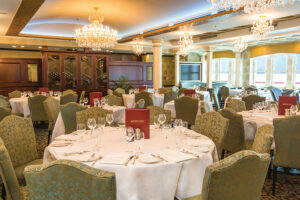 Traditional dining offers a set-time “Early Seating” and “Late Seating,” with the same table, table mates, and servers. In addition to these two options, there is specialty dining, which is upscale dining by reservation only. Depending on the cruise line, specialty dining may require an additional charge and may limit how many times you can partake. Also note that cruises may offer all or only some of these dining choices. Sailaway – The sailaway is the dramatic departure and official start of your cruise. Picture the Statue of Liberty and the New York skyline growing smaller in the distance as your ship makes its momentous departure, or envision the iconic riverfront and bridges in Budapest lit up against the evening sky as your ship launches into the first moments of the voyage. Have your camera ready to document the beginning of your rookie cruise and get that Instagram story started. 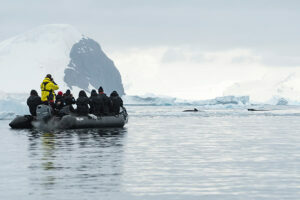 Zodiac – These open-air inflatable boats are sturdy enough for taking small groups of passengers on expeditions. Whether you’re landing on a rocky shore in Antarctica in search of penguins or venturing to a choice snorkeling location in the Caribbean, the Zodiac is your vessel. Purser – Although originally the word purser referred to the staff member who handled all money issues, today the Chief Purser refers to the crew member who makes sure everything runs smoothly for passengers, directing the staff that handles passenger accounts and customer service. Go forth with your new knowledge, cruisers! 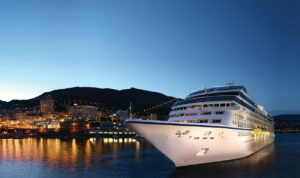 And be sure to check out the first in this series, First-Time Cruisers: Packing Tips.